Aside from the book reviews and interviews with authors, we’ve decided to include occasional posts wherein we ask those who bring us fantastic works from various disciplines to share their process, challenges and struggles with us. We hope that we’ll be able to share more of these kinds of posts as time passes. Today on the book blog, we’re very pleased to have Dean Alfar and Joey Nacino. Dean Francis Alfar’s work has been anthologized in various anthologies, among them The Year’s Best Horror and Fantasy edited by Ellen Datlow, Kelly Link and Gavin Grant and in the first Apex Book of World SF edited by Lavie Tidhar. He is the founder and publisher of the annual Philippine Speculative Fiction series, and is a multiple winner of the Carlos Palanca Literary competition. His short novel, Salamanca, won first place for the Carlos Palanca Novel division in 2005. He is also the author of two short story collections, The Kite of Stars and Other Stories, and the recently released How to Traverse Terra Incognita. He is one of the most prolific and innovative writers of the Filipino Speculative Fiction and a mainstay of the Philippine SFF scene. 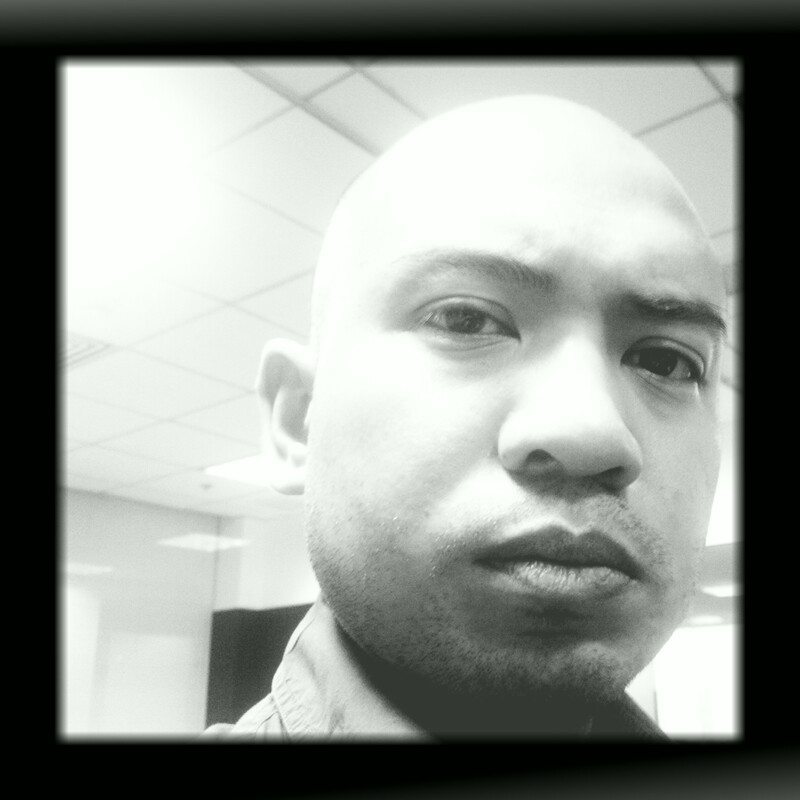 Joseph “Joey” Nacino is a writer of speculative fiction. 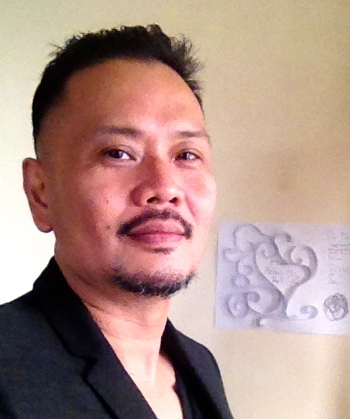 He is a consistent contributor to the Philippine Speculative Fiction annual anthologies and to Philippine Genre Stories. He has edited a number of anthologies among them the e-anthology, Diaspora Ad Astra. The recently released second-world anthology The Farthest Shore was edited by Joseph Nacino and Dean Alfar. Could you share a little bit about the experience of editing an anthology together. How does it work? Who picks what and who gets the final say? Dean: This edition of The Farthest Shore prints the digital anthology we put together in 2008 or 2009. Looking back, I must confess my memory is hazy. I recall sitting with Joey as we hammered out details – from the secondary world concept to the list of authors we hoped to solicit stories from. We shared the work, with Joey doing the lion’s share of getting the antho’s online version up, as well as coordinating with UP Press for the print edition. This is one of three books under Estranghero Press, so really, it’s Joey’s show and I’m along for the ride. Joey: This was the first time Dean and I worked on an anthology though we’ve known each other for some time. The Farthest Shore was the first in the series of online anthologies I wanted to set up. My idea at that time was that I would seek the help of a co-editor for each book of the series: the co-editor would be the vision who would guide the particular anthology while my job would be the series editor (from the online Estranghero Press to the eventually-named Stranger Fiction print series with UP Press). I was working with Dean at that time and we were shooting the breeze. Naturally I broached the idea to him and he was the first person I thought to ask to help me in setting up the fantasy anthology. Dean was the one who picked the stories, as well as approved the stories I picked for consideration. (I think. Dean, did I remember this right?) Likewise my own contribution to the antho. What were things that you considered important in the selection of the stories? Dean: For me, the story needed to have a strong sense of a secondary world, which is not an easy feat in short fiction – the novelistic space is far kinder, permitting more setting description and development. Second, character was important, it always is for me. And finally, the story had to be well-written. Choosing to focus on secondary worlds was something that Joey and I felt very strongly about. As Filipino fantasy writers writing in English, we all need to negotiate and come to terms with many internal conflicts, one of the biggest of which is what makes our fantasy stories Filipino? As readers, we all enjoyed and explored the fantasy worlds of Lewis, Tolkien, Silverberg and many other Western authors. So our influences are western in origin. But we are also members of the Filipino and Asian cultural traditions. So why even write western-style fantasy? Why not just write and develop Filipino-informed stories? As a writer, I do both. My Hinirang-based stories are fantasies but not western-derived. But I also write secondary world fantasies – because I believe I am also a member and part of the greater fantasy traditions, the fantasy worlds of the imagination that know no national boundaries. This is something each Filipino fantasy writer needs to negotiate – the responsibility of writing within our own cultures and embracing the universal aspects of fantasy stories that belong to us all regardless of skin color or background. Joey: The most important is: it should be a good story. What connotes a good story? I’m sure Dean has his own standards, parameters, etc. But for myself, it should be something that draws me in, swirls me around and spews me out with a smile. That’s the closest description I have for a good story. For this anthology, the main consideration was that it should have the element of the secondary fantasy world. The concept of the secondary world should be believable AND real, i.e. it’s not just the imagining of the protagonist. Having edited projects like this one in previous years, I think this gives you a better idea of what the sf/f field looks like in the Philippines. Would you share some of your insights. (comparing perhaps what it was like in the beginning as compared to today). Dean: When I edited the first Philippine Speculative Fiction annual, things were quite different. Today, more Filipino spec fic is being published both locally and abroad. Academe is open to genre fiction where before only Realism was considered valid literature – there are college courses on speculative fiction now and papers being written. In the literary workshops, fantasy and scifi are being accepted and discussed, and the discourse is exciting. Speculative fiction has won prestigious awards such as the Carlos Palanca Memorial Award for Literature and the Philippines Free Press Award. More people are writing, and with ebooks, more material is being published. Joey: From what I remember (though the timeline in my head may be incorrect), one of the reasons I wanted to set up an online anthology series then was the fact that I wanted to open up another market for local spec fic. Dean’s PSF series had been consistent throughout the years but the other outlets had started to drop. Kenneth Yu had stopped publishing the print edition of the Digest of Philippine Genre Stories (before he decided to bring it online), the giant-sized Story Magazine seemed to have evaporated, and the Fully-Booked graphic/fiction contests had finally run out of gas. Alas, like those efforts, I found out that it’s hard to keep something like that running for so long. (Which is why props to Dean for PSF.) Nowadays, I still feel that there’s a dearth of markets for writers to submit their works. Philippine Graphic is still alive but unfortunately Free Press is also gone. Dean and Sarge have the upcoming Volume, yes, but I presume this will be a yearly thing. What do you feel are the biggest obstacles for sf/f writers in the Philippines? Dean: We need to create more venues of publication and better ways of marketing the books. We need to publish on two fronts – in print as well as digitally, to reach more people. 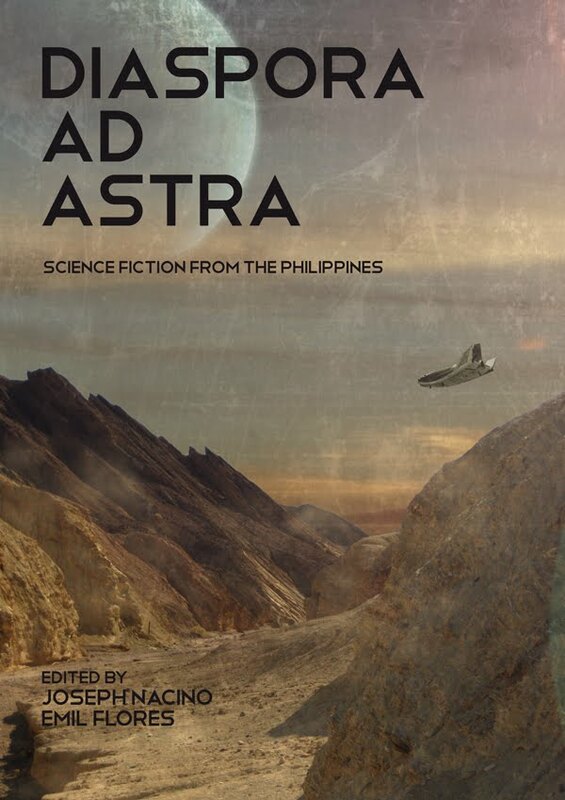 We need to promote Filipino works of sf/f and get more people more excited to read their own. We need more anthologies in non-English languages of the Philippines, and we need to go broader with genres. Joey: Right now, I think the biggest block to aspiring writers is the need to actually write their stories and submit them to publications. Or if they can’t find outlets, maybe they should create them in the same way I did. Yes, there’s not much respect or money in publishing your story in your blog. But it’s not the venue but the decision to act, the decision to write it down where someone else can read it. That’s what matters. As writers, what are the biggest challenges that you face? Dean: For the average young writer, the challenges are same as the ones more experienced writers face: crafting a well-written story and finding a market for it. Joey: I love creating these anthologies. Unfortunately, I can see why there’s a certain dichotomy between editors and writers: editing books take time, and this takes me away from writing my own stories. So I have to choose: be an editor or be a writer. I know there are some editors who are also writers (or writers who are also editors). Kelly Link and Jeff Vandermeer come to mind. But I can’t do both; I’m not as good as they are, either as a writer or editor. We hope that you’ve enjoyed reading this feature on process. The Farthest Shore and Diaspora Ad Astra are soon available from UP Press. The Speculative Fiction Anthologies and Dean Alfar’s books are available from Amazon.com. You can also look for them at Flipreads. Joseph Nacino’s Logovore, which won the Philippine Graphic competition is available online at Fantasy Magazine. **Let us know what you think of this feature. Please leave a comment or write us at chieandweng at gmail dot com. Thank you for reading.